We have the ability to speed up, slow down, and even pause the process to examine an event in detail. What would we see? What could we conclude from our observations? Starting in Mesopotamia—the cradle of civilization—at 3000 BC, where recorded history really begins to take hold, we notice tremendous migrations, many caused by tribal wars, famine, and drought. We see death, slavery, and misery. Then at about 2100 BC we see something interesting over Sumer (modern day Iraq). Upon examination we find the Code of Ur-Nammu, the first written law code. You can’t have the rule of law if the law isn’t written down. As we progress through time, we find more migrations, more war, more misery. Then we find ourselves in a bleak desert about 1400 BC and see a motley looking crowd boasting ten commandments that reference, upon other things, property rights and the value of human life. Yet still all around us we see much suffering. Our next stop is Greece, about 430 BC, where we hear the politician Pericles state, “… (our laws) afford equal justice to all in their private differences.” Here marks the first time the concept of equal protection under the law is explicitly mentioned as an official doctrine. Yet even in the mother of democracy, there are slaves, and women could not vote. If we soar forward to June 15, 1215, we will see the Magna Carta limiting the power of the King. Although this mostly benefitted noblemen, it did eventually lead to the creation of parliaments. Through the rise and fall of Persia, Egypt, Rome; through the mass migrations of Huns, Mongols, Goths, and Vikings; through the Crusades; through the conquering of the New World; through slavery, persecutions, wars, famine, and disease, we would conclude that there existed two constants in human existence: state-sponsored human suffering, and the methodical evolution toward the rights of the individual over the state. Where does America fit into the human social and political evolution? America takes a 5000 year leap and for the first time in history integrates “grand generalized principles” dealing with individual freedom and places them into established law with the end goal of governing a nation. That is Americanism, and it gave rise to American Exceptionalism. The U.S. Constitution does not speak to details of crime and punishment. It deals only with grand generalized principles. This is why the U.S. Constitution is only a few pages long, whereas the European Union’s constitution is hundreds of pages long. The Left does not like grand generalized concepts; Progressives would rather have detailed constitutions. Liberals typically apply “presentism” to historical analysis, defined as when present-day perspectives are anachronistically used to depict or interpret the past. Thus, Liberals are unable to see what America is and what it has done for human social and political development. They only see dead white male slave owners that didn’t include minorities and women under freedom’s umbrella. If Liberals went back to hear Pericles’ speech, they would say, “Nonsense, you own slaves and women can’t vote.” The Greeks would not have understood these concepts even if they understood the individual words. Ancient Greeks were fairly arrogant and boasted how all foreign tongues sounded like the babble “ba ba, ba ba.” So they created a special word for this that sounded like ba ba, it was “barbarians.” The Greeks would have considered the Liberal visitors barbarians because they made no sense when they spoke. Practicing presentism on past social issues would be no different than calling an ancient astronomer a fool for thinking the sun revolves around the earth or a medieval doctor a quack for not knowing modern microbiology in dealing with the plague. On the other hand, immigrants understand what the best Liberal minds cannot. 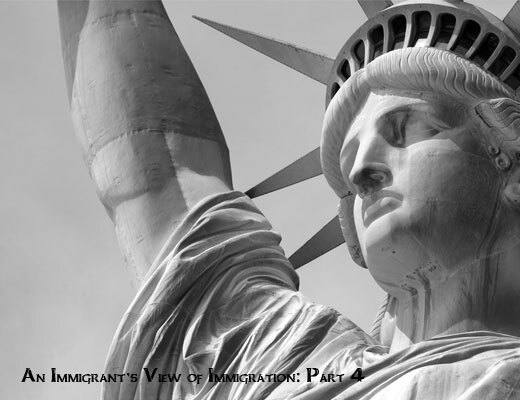 Immigrants understand our grand generalized principles. They may not be able to articulate them, but they know them. My uneducated parents knew them because they lived under fascism. Immigrants come here to escape being wards of the state. The last thing they want is to become wards of another state. What we are seeing in America today is no different than other great migration waves throughout history. To conclude our thought experiment: hovering above the earth, we would see the ebb and flow of many migration arrows, most leading to America. American Exceptionalism has produced many great things that do not need enumeration. The future of American Exceptionalism depends on who wins the culture war. Right now, it doesn’t look promising. As for me, I may have been born an Italian, but I will die an American.